Petote Marlee Bag. This Is The Quilted Dog Bag You Have Been Waiting For! Now You Can Take Your Dog Everywhere In Our Stylish Marlee Bag. Petote Black Croco Marlee Bag. Now You Can Take Your Dog Everywhere In Our Stylish Marlee Bag. Airline Approved and Made In the USA! Petote Brown Croco Marlee Bag. Now You Can Take Your Dog Everywhere In Our Stylish Marlee Bag. Airline Approved and Made In the USA! Petote Bronze Ostrich Marlee Bag. Now You Can Take Your Dog Everywhere In Our Stylish Marlee Bag. Airline Approved and Made In the USA! Petote Black Woven Marlee Bag. Now You Can Take Your Dog Everywhere In Our Stylish Marlee Bag. Airline Approved and Made In the USA! Petote Black Croco Marlee Bag. Now You Can Take Your Dog Everywhere In Our Stylish Marlee Bag. Airline Approved and Made In the USA! 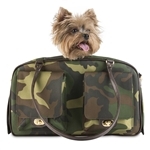 Petote Camo Marlee Bag. In Fashion & Airline Approved! Petote Black Croco Marlee Bag. Now You Can Take Your Dog Everywhere In Our Stylish Marlee Bag. Airline Approved and Made In the USA! Petote Marlee Bag. This Is The Quilted Dog Bag You Have Been Waiting For! Now You Can Take Your Dog Everywhere In Our Stylish Marlee Bag. Petote Marlee Bag. This Is The Quilted Dog Bag You Have Been Waiting For! Now You Can Take Your Dog Everywhere In Our Stylish Marlee Bag.